I read Girl in the Dark a few months after escaping from a darkened room, where I had lain blind-folded and ear-plugged, the prisoner of an implacable captor, with whom no negotiation was possible. My time spent in darkness was the consequence of a concussion, sustained following a severe fall when cycling down a hill on my regular Saturday ride. A full recovery eluded me for months, in spite of my intense desire to be well and active. Once I had served my sentence or, to put it a less dramatic way, had recovered, I had the pleasure of reading Anna Lyndsey's elegant and entertaining memoir of her retreat into a darkened room, which in her case was caused by an extreme form of photosensitivity. 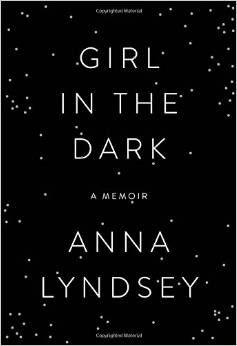 Girl in the Dark by Anna Lyndsey was published by Doubleday in 2015.